Replacement fascias, gutters, soffits, roofline products, Choose carefully, your choosing for life! 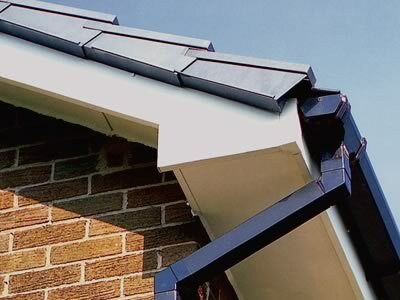 The timber around your roofline may not win much of your attention but it can be a real headache when it starts to deteriorate, and it can take up too much of your hard earned free time with the constant round of treating and repainting. Classic uPVC can bring the same long life, low maintenance and crisp good looks of uPVC to this important part of your home and reclaim your weekends. Similarly, any house with external timber cladding, for example on gables or between bay windows can soon begin to look shabby once the wood is a little past its best. uPVC cladding is not only made to withstand the elements but, with just the occasional wipe down, will keep its sparkling 'as-new' good looks for many years to come.